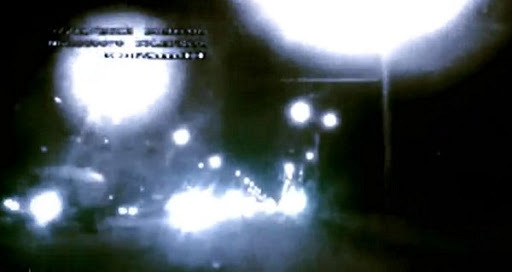 On 27 November 2012, a bright flash was captured on film by several eyewitnesses. Terrified residents of Veliky, Novgorod. The bright flash of light over Russia knocked out electrical devices terrifying residents.The unusual phenomenon was photographed by two different drivers. Some say it was a secret EMP weapon test, while others claim UFOs caused the blackout. For a few days before the event, as well as just before the blast of light, sightings of UFO activity over the city were reported. Witnesses describe two large bright objects hovering near the city before blinking out. The UFOSFACTS contacted Meteorologists and experts in Electromagnetic Pulse, they saw images and both said that it is a large electromagnetic storm capable of producing magnetic pulses that can damage electrical infrastructure an whole of a city. In the case of an EMP, even the cars would be spared and The video shows that both car engines and their cameras continue to operate normally. So, what happened was nothing more than a blackout caused by an electrical discharge.